Tibetan spiritual leader Dalai Lama was admitted to a private hospital in New Delhi for treatment after being diagnosed with the chest infection, his private secretary said on Tuesday. “His Holiness was admitted to the hospital today due to a chest infection. 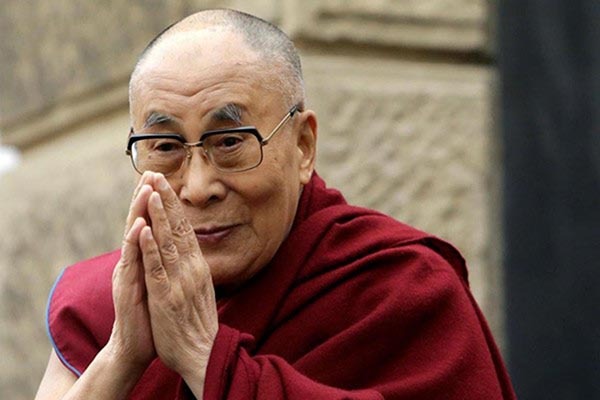 He will remain in the hospital for the next two to three days,” Tenzin Taklha, private secretary of Dalai Lama told ANI. Taklha said the Dalai Lama’s condition is stable and there is nothing to worry about. The spiritual leader, who had returned to Dharamshala on Monday after meeting with youth global leaders in New Delhi on 7 April was brought to Delhi after he complained of discomfort. After a rebellion against the Chinese rule in 1959, the spiritual leader had exiled himself in India and has since been living mostly in Himachal Pradesh’s Dharamshala. The Nobel laureate’s supporters operate a government-in-exile and promote Tibet’s autonomy by peaceful means. Gaden Phodhang must curtail His Holiness’s programs so that he would live longer for the benefit of all the sentient beings of this world. It is upsetting to notice just recently when His Holiness was having flue and giving teachings to Taiwanese Buddhists through video and the next day or so he flew to New Delhi for some days of continues engagements. The people directly responsible for His Holiness’s programs could have postponed or cancelled the said programs. In the future, Gaden Phodang must have the courage to say no to too numerous requests – either by Tibetans or foreigners to ensure his continues good health. LONG LIVE HIS HOLINESS THE DALAI LAMA.